GreenFiber Cellulose Insulation made of 85% recycled paper fibers treated for fire resistance. GreenFiber insulation is for use in attics, floors, and walls of residential or commercial new construction and re-insulation applications. 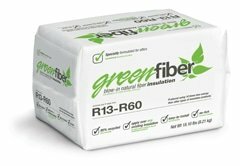 Using GreenFiber Insulation is a great way for homeowners to insulate more efficiently. GreenFiber has a strong selection of products and accessories for your home’s needs. Although it’s easy to think of big things when you’re looking for places to cut energy costs (replacement windows, anyone? ), the first steps to take involve insulation in your home. FHB contributing editor Mike Guertin guides you through some relatively low-cost techniques for upgrading your home’s insulation. He begins by sealing air leaks, such as the gaps around recessed lights and electrical boxes, plumbing or electrical chases, framing and a chimney, and more. Guertin includes a guide to finding the best air sealant for the job. 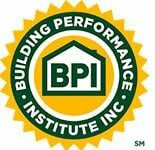 He then recommends tuning up existing insulation, whether fiberglass batts or loose-fill cellulose. In conclusion, Guertin outlines the process for blowing in loose-fill insulation, which he says is a two-person job. At EnergySmith Home Performance we have chosen Low Dust Green Fiber cellulose for our customer. When installed basic cellulose can be a dust devil with particles floating everywhere. Low dust cellulose although, still dusty, does cover everything nearby when being installed. The R- value doesn’t change, but, our customers are much happier with the end result using this product.